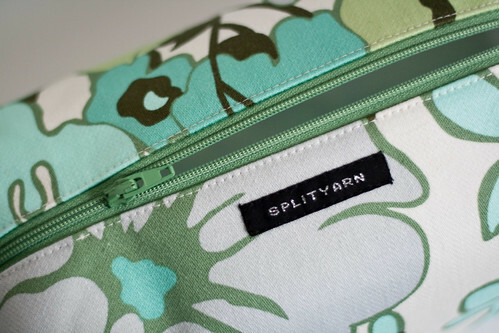 splityarn: boxbags in the shop! 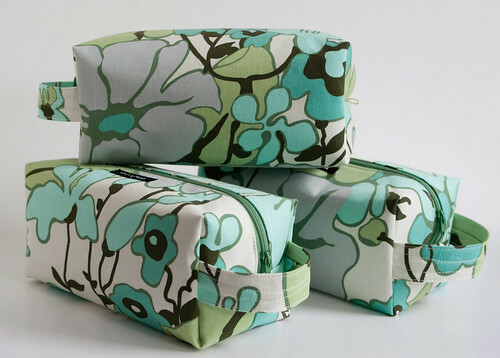 I quietly added a few boxbags to the splityarn shop yesterday afternoon and there are still a few left if you're interested. I'm going to make more of each of the sold out fabrics, but it won't be for a week or three yet. The next shop update will primarily be camera straps, both point and shoot and SLR. And on that subject, does anybody have any suggestions or links for some manly fabrics for straps? I know a lot of folks share their cameras and as strange as it sounds, some dudes aren't as keen on aqua and brown. Maybe try some of the Echino line of fabrics - there are some nice, rich solid colorways around. I drop by occasionally and love seeing your beautiful work!! for manly straps: camouflage? plaid? How about a geometric print on a dark background? I think a darker color is probably key. There was a fabric that I saw at Fabricana the other day - it had cameras printed on a black background. I didn't look at the selvedge and I can't find it online anywhere. So disappointed. Have checked several times daily since you announced in December that the box bags would be available in January BUT couldn't check this week (in DC celebrating the inauguration!!). And now they are gone. Whatevs. I just make P-funk carry around the OMG Squirrels one. I can see the need, though, but I don't know of any fabrics. No advice on the manly type fabrics, but I would very much like that! I've wanted one of your straps, but since the camera is technically the husbands, didn't want to get something that he wouldn't want to carry, too. Hope you find some!!! No suggestions on the manly fabric conundrum (men pretty much make lots of crafting decisions conundrums, I've found...), though I agree with laurel anne above that a darker fabric is probably key. The comments to your "fabric justice" post are closed, but I wanted to say thank you! for a brilliant idea. I just organized my stash (http://aspiringameliorant.blogspot.com/2009/01/dont-i-clean-up-nice.html) with some comic book boards. Though my husband's friends did look at me funny when I ran into them on my way to the comic book store on my lunch break (they go to school across the street from the store, and I work far away). why not put the logo on the inside. i personally wouldn't buy one simply because of your logo. i love the idea of it, just not on the outside of the bag. they are beautiful though :) wonderful craftsmanship. Looks so handy tome. Must be comfortable too. these are really fantastic! i don't know how you make things so perfectly neat.